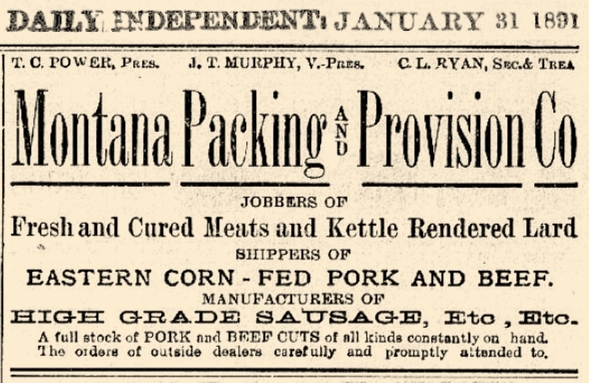 Montana Packing & Provision/Columbia Paint Co.
1517 Dodge St. ~ Now Home to the Lewis & Clark Brewing Co. 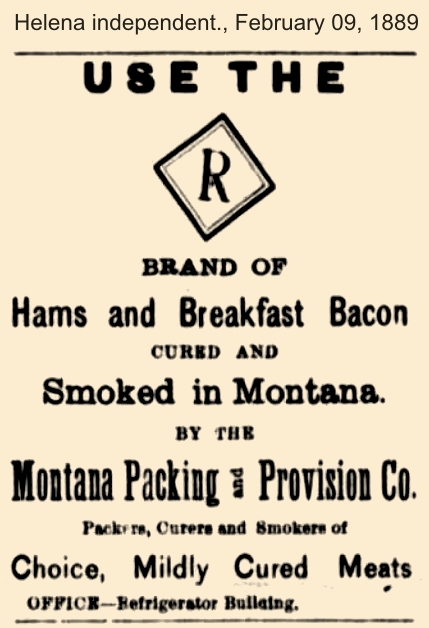 Housed in two of Helena's oldest industrial buildings, the "Refrigerator Building" and smokehouse of the Montana Packing and Provision Co., the Columbia Paint Co. manufactured quaility paint in Helena from 1947 to 2008. 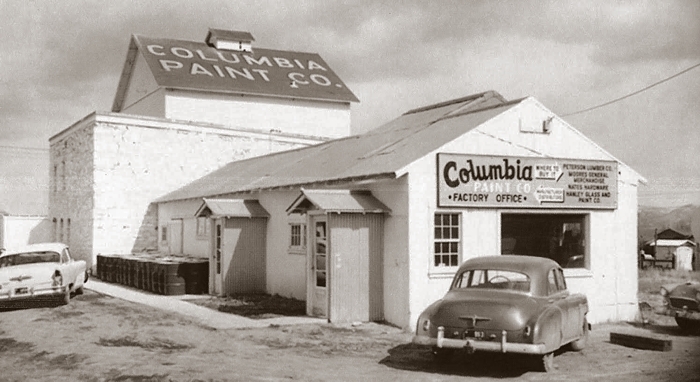 Columbia Paint Co. was founded by: President William Wallace Shropshire (1903-1996); Vice President Lee Hoyt Larison (1912-1981); Secretary Stephen Warren Stockdale (1903-1960) and Treasurer William H. Porter Sr. (1907-1975). American Chemet, Inc. of East Helena, Precursor of Columbia Paint Co.
American Chemet 1947. The four founders pooled their total savings of $12,000, uprooted their families, quit "more stable jobs" and started this plant adjacent to the East Helena American Smelting and Refining smelter. American Chemet is still in business. Their first product was zinc oxide, made from the waste generated from the smelter. The company now produces cuprous oxide, cupric oxide, zinc oxide, copper powder, dispersion strengthened copper, copper oxide agricultural fungicides, and related products. 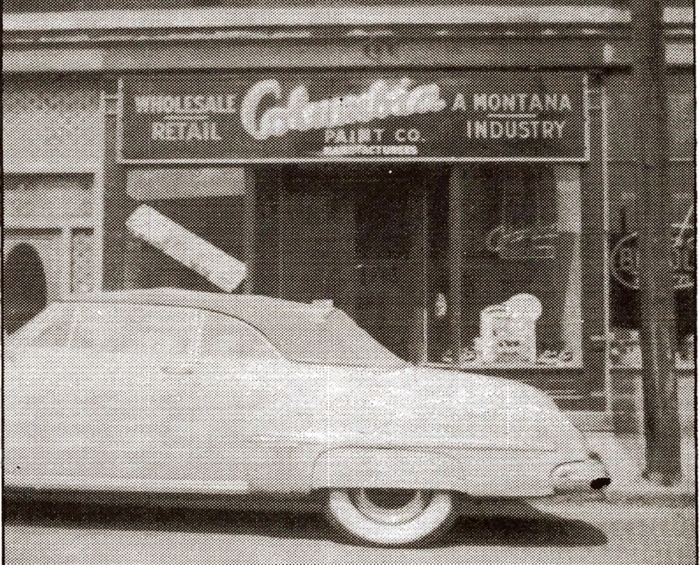 Columbia Paint was started just months after American Chemet opened. A. T. Hibbard, Union Bank President, helped many times during the lean years. 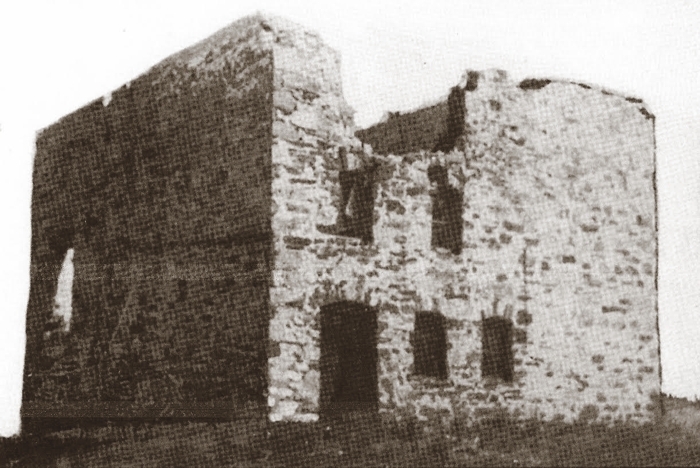 The tall, three-story building was the ice-house. Huge blocks of ice were hoisted to the top floor; cold air then flowed down to the first and second floors, creating a "refrigerator" space for keeping fresh meat. The adjacent stone building was used both for smoking and packaging meats. 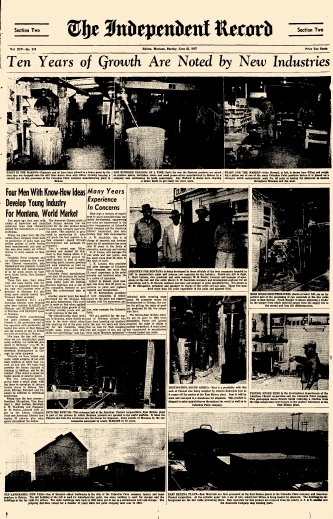 The plant was closed by 1892. "There was no water or sewer. The stone building next door [former smokehouse] had no roof, a dirt floor and was in shambles. A night crew called the "Bourbon Constuction" repaired this building. One evening while burying their whiskey bottles they discovered a sewer line which before the City of Helena had no record of. The first office and sales place was at 202 Rodney. Some might remember Jester's Lounge; it was right next door at 200 Rodney. Norm Rogers who then owned the Broadwater [hotel and natatorium] grounds told them about a possible building he owned at the Golden Sunlight Mine near Whitehall. Norm delivered this building for $1400 which he got $700 in cash and $700 in paint credit. That became the office space that shows in the mid 1950s picture (above). A water and sewer line was installed in 1951 which came from Argyle Street, close to Montana Ave."
First Columbia Paint Retail Store, 202 North Rodney St. In 2007, Columbia Paint Co. was purchased by the Sherwin-Williams Co. Production capacity was moved to Spokane, Washington, where Columbia's sales, marketing and operations offices had been stationed since 1974.